Bonan Technology Co., Ltd. is a Chinese galvanizing equipment manufacturing company with its origins as the representative of some European equipment manufacturers in China. The company is now fully engaged in the design, manufacture, installation, commissioning and training around the world. 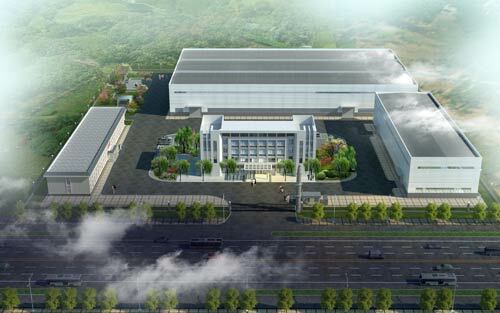 The company’s headquarters is located in the Shanghai Jiading Commercial District whilst the factory is situated in Zhangjiakou City, Hebei Province in north China. The factory covers an area of 32.8 acres. In April 2013, 50 acres of land were bought to allow further expansion of production. The company has designed and manufactured 260 galvanizing plants/lines in China, Holland, Australia, Turkey, Russia, India, Jordan, Saudi Arabia, South Africa, the United States, Egypt, Syria, Azerbaijan, Romania, Albania and Pakistan. This experience is supplemented by monitoring developments in other parts of the world – to gain the most advanced techniques and latest market trends. This knowledge has resulted in technologies that result in lower zinc consumption, lower energy consumption, as well as excellent quality. 1.Jobbing galvanizing line for construction parts: such as steel tower, tube tower parts, highway rails and lighting poles ,etc. 2. Galvanizing lines for steel tubes:suitable for 1/2"-8" steel tube. 3. Galvanizing lines for small parts:suitable for bolts, nuts and other small parts. 4. The galvanizing technique training at worksite.